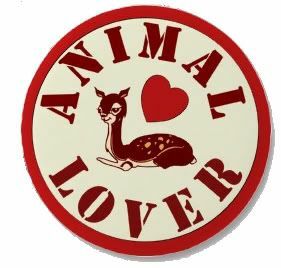 Animal Professional or Animal Lover? You are here: Home / Animal Careers / Animal Professional or Animal Lover? Yesterday I got some stunned reactions when I explained to some pals that I was not an animal lover. Calm down, I am an animal professional that loves animals. I believe there is a difference so I wanted to chat about that a little today. Let me first share a couple of tales with you. Earlier in the day I took a walk with a neighbor who owns an obese dog. Complicating matters is the fact that the dog was poorly bred and so suffers from hip dysplasia (before she was a year old). The veterinarian in charge of this animal’s health care allows walks but restricts a lot of romping and other movements. The dog owner shared that her dog only eats a half a cup of food a day prescribed by the vet–which stunned me. Thinking that the owner would be invested in optimal health for her dog, I asked if the vet had run any blood work to check on the thyroid. The story sounded good but it hid the truth. I don’t know this neighbor very well and so thought the dog was a senior dog of ten years or more–but she is only five. The poor dog can only hobble along and has to stop frequently to catch her breath. Now, this woman is an animal lover. She absolutely loves her dog, and I am not judging her, but I am confused as to why she would not help her dog more by diligence in areas of animal health. But then she is not an animal professional and so does not care for the dog in a way that an animal professional would. I have to say my view is clouded after thirty-plus year in the profession. For example, an animal professional would love the dog but keep it off the treats to help ease the dog’s hip dysplasia (which is worse due to carrying excess weight). This would allow the dog more freedom of movement and would help insure that the dog had better longevity while avoiding problems such as diabetes, etc. As for the backyard breeder? I am guessing she claims to be an animal lover too–breeds animals because she loves the breed–and the money. I know a person who does animal rescue up here and that fosters a lot of animals. Personally, I don’t think anyone should try and maintain more than three dogs. First, it is the legal limit unless you have a kennel license. Second, dogs have needs that the average person has trouble giving to one dog–and the more animals you add, the harder it gets. Plus it is hard to travel with a lot of animals and so you are limiting the dog’s environment and enrichment. Then there are things like sanitation, proper diet, dog-to-dog conflicts, and physical maintenance such as grooming and regular veterinary care. Anyway, we ran into some other people who were dog enthusiasts and they talked about their pets for a half-an-hour. I won’t get into the details as to why this was not a good thing other than to say two of the three involved in the conversation were on the clock for an employer. Anyway, my pal mentioned that we needed to go and that I was probably sick of hearing dog stories. It is a job, yes. But when you work with animals you never tend to leave the job because animals are live creatures that need 24-7 care. Also, it is not fair to animals personally owned because the demands of your work often keep you away from them. However, I have to say that when you are an animal professional sometimes the last thing you want to talk about during your social life are other people’s pets. Especially when you are tired. This is hard because people are passionate about pets. So before I go on, let me ask you this: if all your friends (and everyone you met for that matter) only wanted to talk about your work and share their experiences or knowledge about your work when you were off the clock–would it be fun for you? Don’t get me wrong, I am passionate about animals. When talking to other animal professionals we get into all kinds of things but non-professional exchanges tend to be a bit different. My fellow author pals have the same opinion when people want to chat with them about writing–I think people believe that both the animal profession and writing profession are “dream” jobs and so don’t equate them as being “real” work or jobs. So in my quest for knowledge, I went to see what “animal lover” actually meant. In my world, it means love for an animal but not a dressed up doll-like image, or an accessory, or a media-morphed image of an animal–the real animal as a species, breed, and individual. In my meanderings, more often I find it is the IDEA of an animal that supersedes common sense at times. Hoarders, militant activists, etc., that border on the unrealistic images or ideas about animals. It also can mean those who dream of a peaceable kingdom or of being so connected to an animal that they forget to respect that a creature has an animal nature. Uh, yep–animals with teeth and claws bite and scratch! This is why those “Beware” or “Danger, Stay Out” signs are posted. 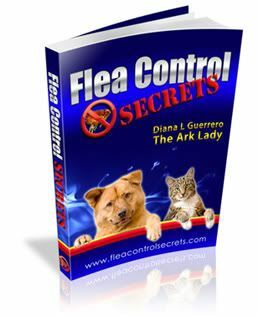 Now when it comes to behavior I don’t mess around with misconceived notions but when it comes to my neighbors and pals and their animals–unless they pay me for it–I tend to not give any professional advice and avoid any discussions. emotions such as love in animals. Okay, so you know my take now and what the general population has said–but I want to know what you think and how you demonstrate that you are an animal lover–or are you an animal professional that loves animals–or something in between? Let me know in the comments. Animal professional that loves animals… not all of them however. And I have say that for myself, the maximum dogs to maintain personally…. 2. Wow, I can’t believe I missed your comment so long ago. In writing a new post linking here I saw it. Thanks for chiming in and I think you’ll enjoy the new one as well!